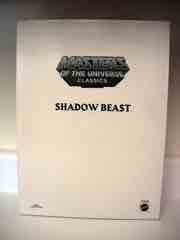 While the Shadow Beast appeared on both the original 1980s and the new 2002-era cartoons, odds are you don't remember seeing them. 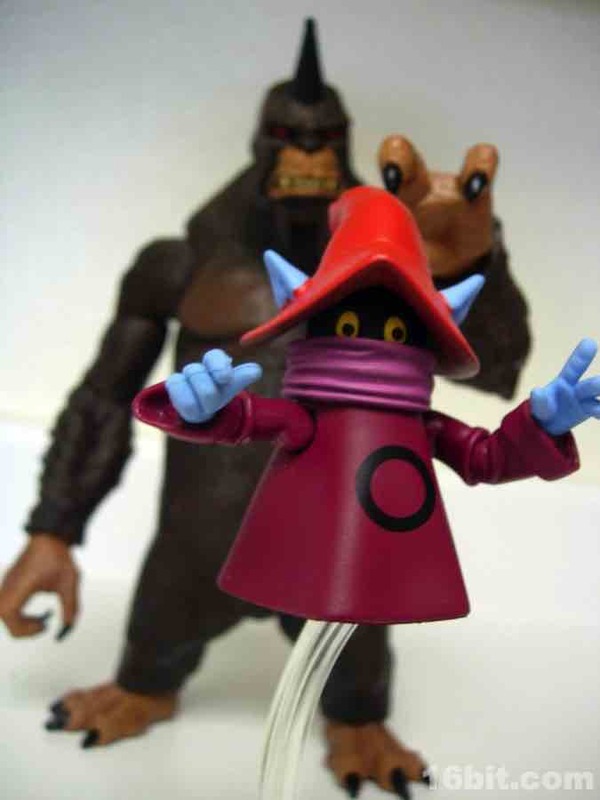 It's not that they weren't neat, but they didn't speak English on the classic show, nor did they receive a toy until this one from earlier this year. These big creatures-- roughly 10-inches tall at the horn-- so it really will tower over most of your other Masters of the Universe Classics toys. 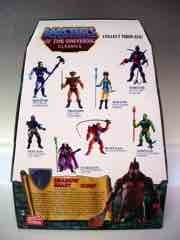 Tribes of these things roam Eternia, making them great candidates for army-building. Of course, the price and lack of availability will prevent you from putting together clans of these things to harass Teela. 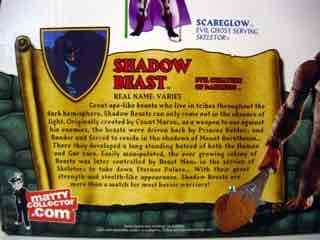 The figure has rather apelike proportions, and with good reason-- the Shadow Beast was made from recycled Gygor parts. 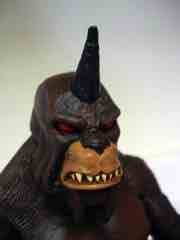 (Gygor being a gorilla figure sold earlier in the line.) The hands, head, and feet were changed out, as were the accessories. 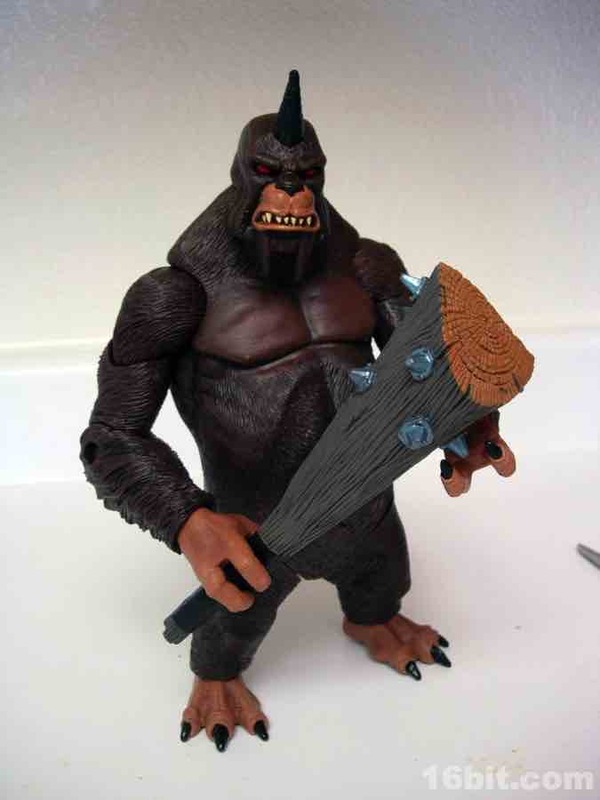 For this release, the figure has but one weapon: a giant wooden club. 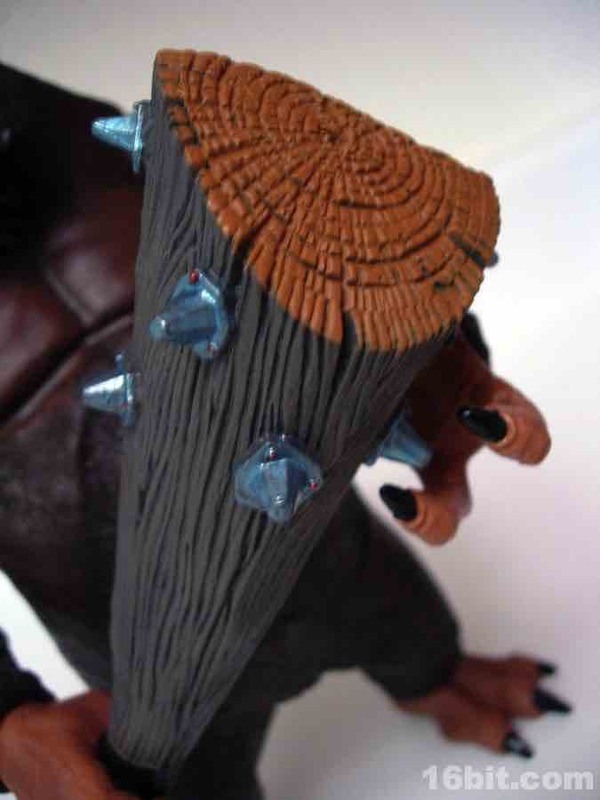 You can see a lot of great detail, like little metal spikes seemingly "nailed" into the blunt utensil, plus the cut of the wood seems to indicate that Shadow Beasts know how to use tools. (Seriously, that's a nice clean cut.) 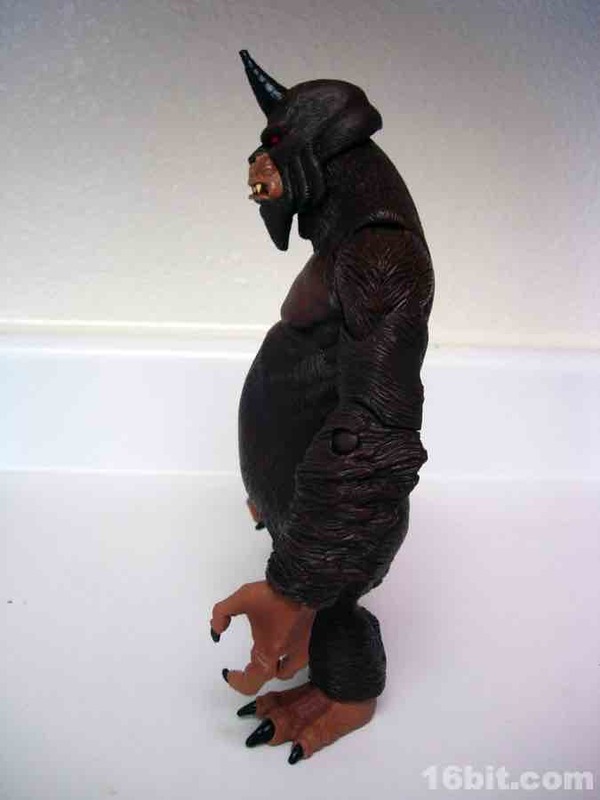 While a little rubbery, it seems to hold its shape fairly well, but I should note that its weight seems to be problematic for the Shadow Beast to hold in the long run. Gravity is cruel. 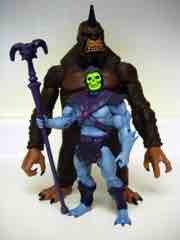 Most figures in the Masters of the Universe Classics line are fairly solid, heavy, and sturdy figures. 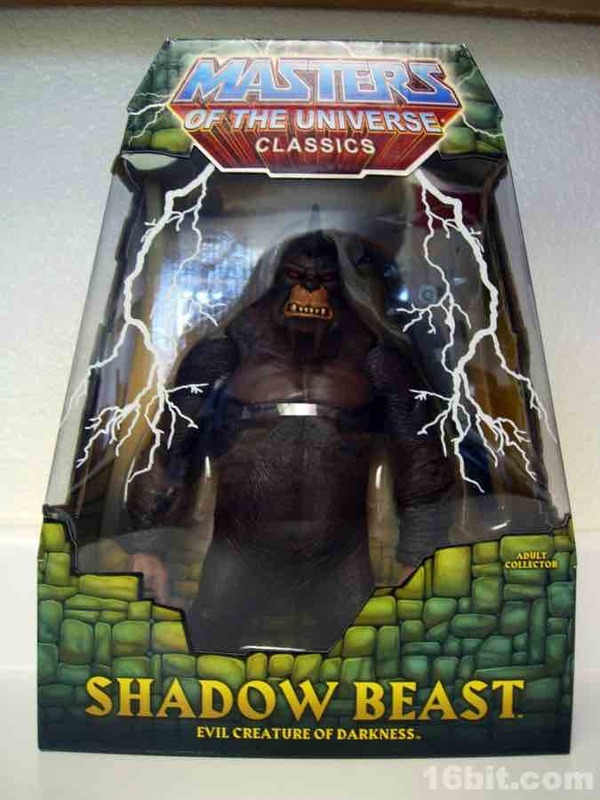 The Shadow Beast is mostly hollow, seemingly a roto-molded figure with a completely different construction from most other MOTUC figures. The legs are jointed at the hips and ankle, and the arm joints feel quite different. 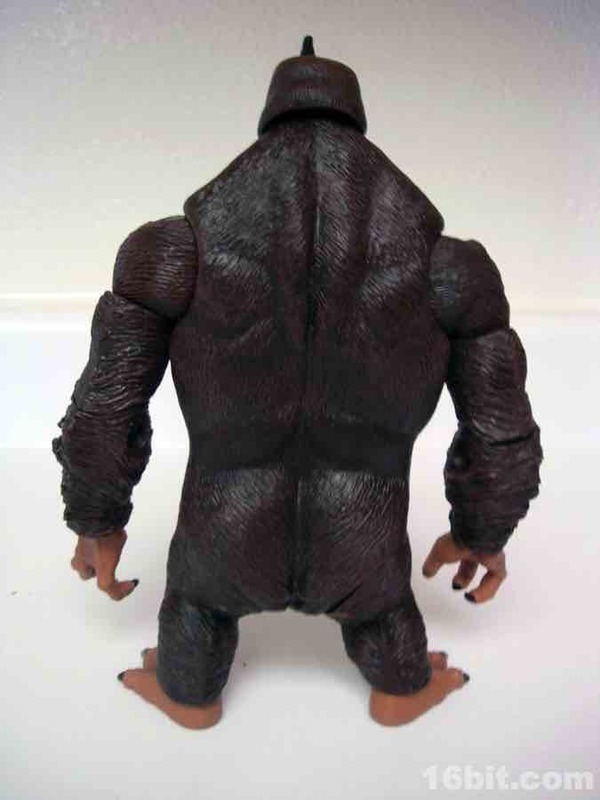 You still have the ball-jointed shoulder with a swivel bicep and a bending elbow, but the movement seems a little more restricted due to the thickness of the limb. 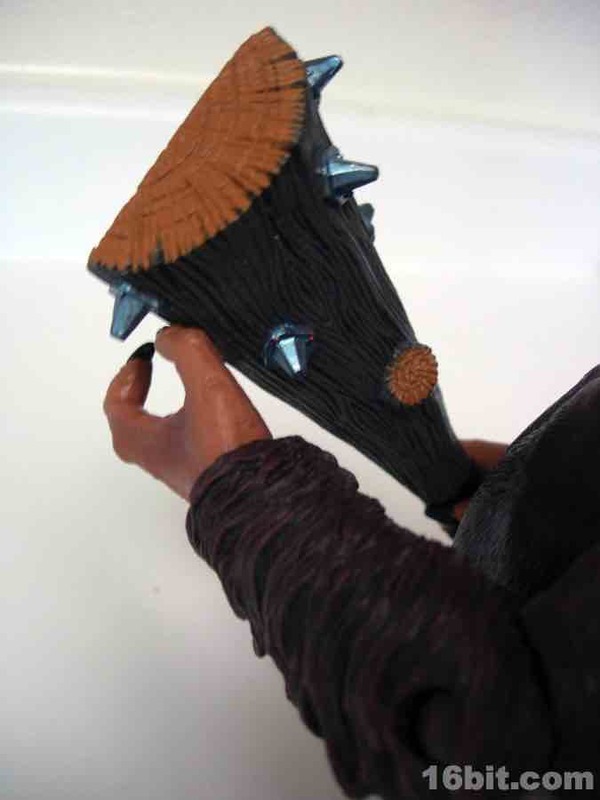 I have no problems getting him to stand or carry his club, but I think a few months on a shelf might cause the club to slowly bend and eventually fall out of his hand. 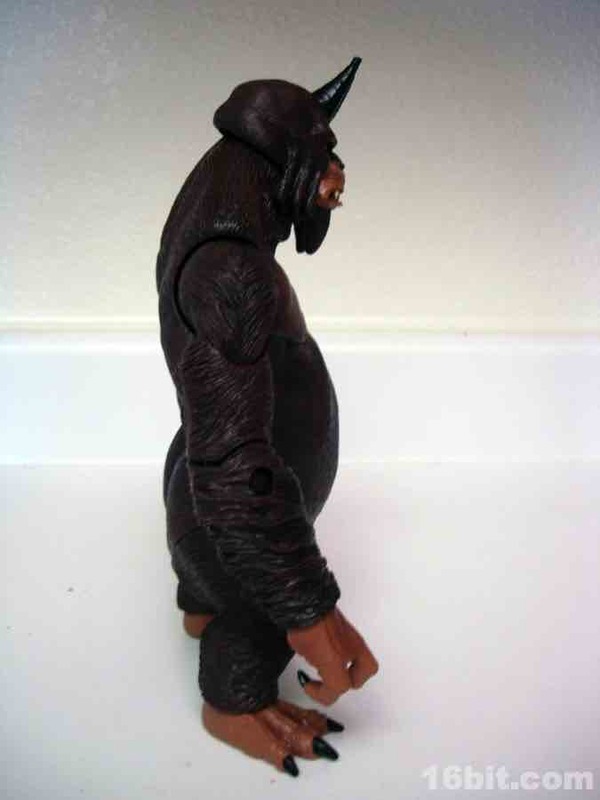 Also, his joints aren't particularly stiff, so you may want to have him hold it differently than as illustrated or give him added support. 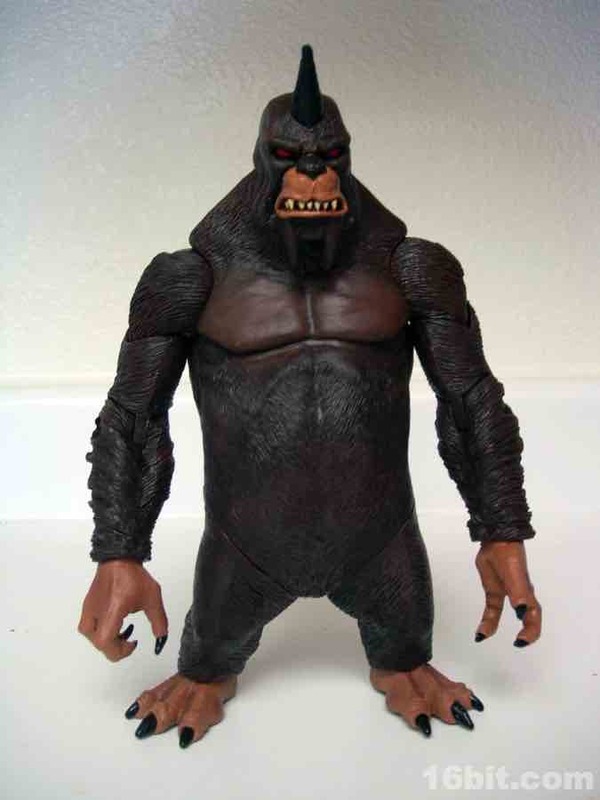 The overall sculpt is actually pretty great-- the head looks mean and like a 1980s fantasy monster, while the fur texture looks appropriately fuzzy as plastic goes. 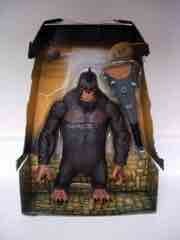 If you like ape toys, it's pretty neat, but it's clearly better in the package than it is out. 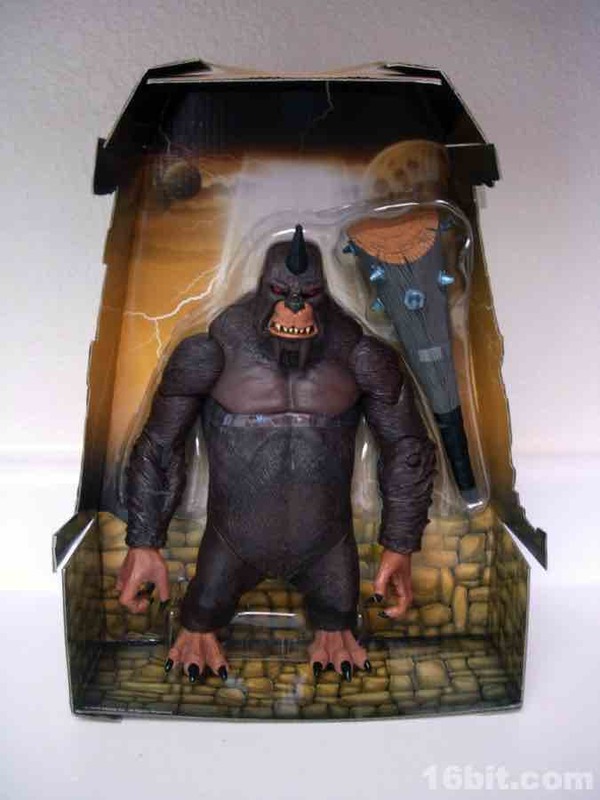 This isn't a knock at the detail or the sculpt, but the engineering and plastic make this feel a little less sturdy and a little more-- as the box reads-- like an "adult collector" figure. 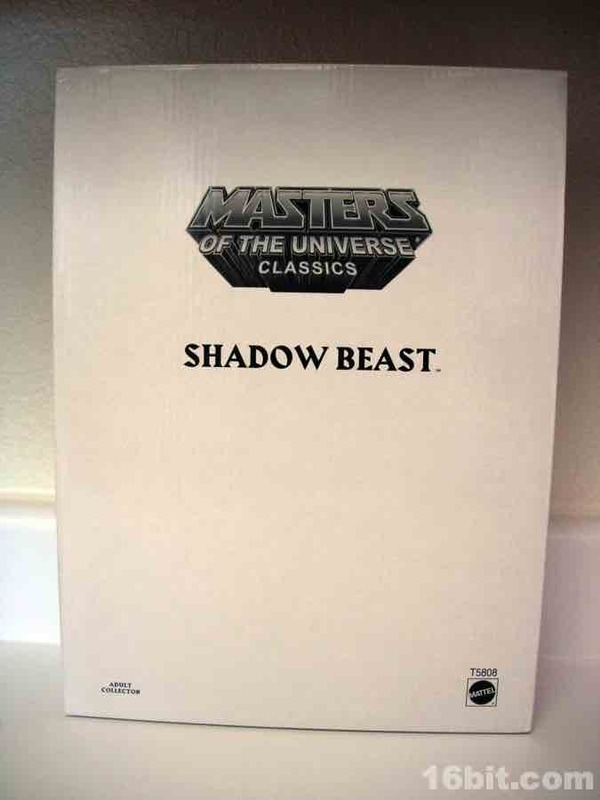 While the Masters of the Universe Classics line is hot stuff and new figures sell out almost immediately every time, this one goes for $20-$30 on eBay, meaning you might be able to get a deal if you're patient. It's a nice figure, although (as someone who does not yet have Gygor) I think I would rather have Gygor. The Shadow Beast is pretty neat, but isn't as goofy or weird as the yellow-green ape from whence he spawned. 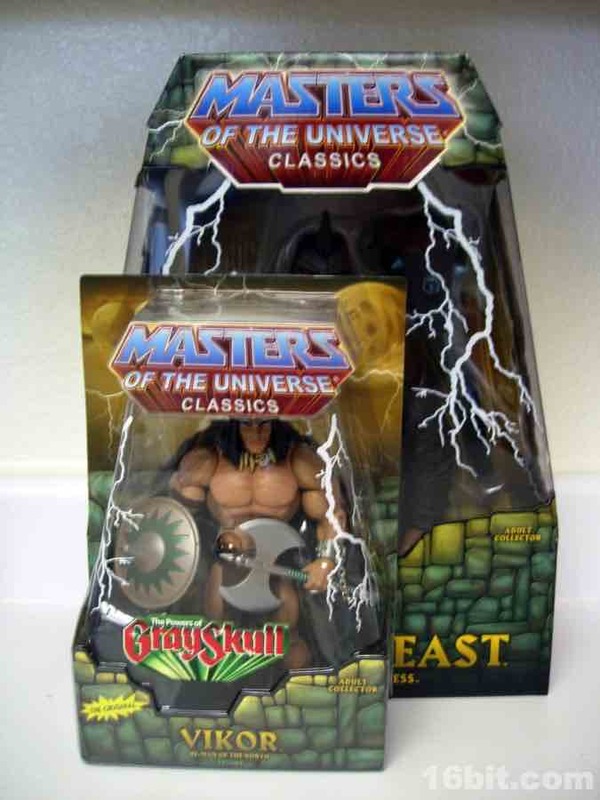 I'm thrilled to see cartoon-only characters getting toys and I'm particularly pleased they did one that appeared on both shows, but for $30 you might not enjoy this one as much as the smaller, $20 figures in the line. More accessories or an alternate head would have made it much more exciting rather than on the happy side of "pretty good." 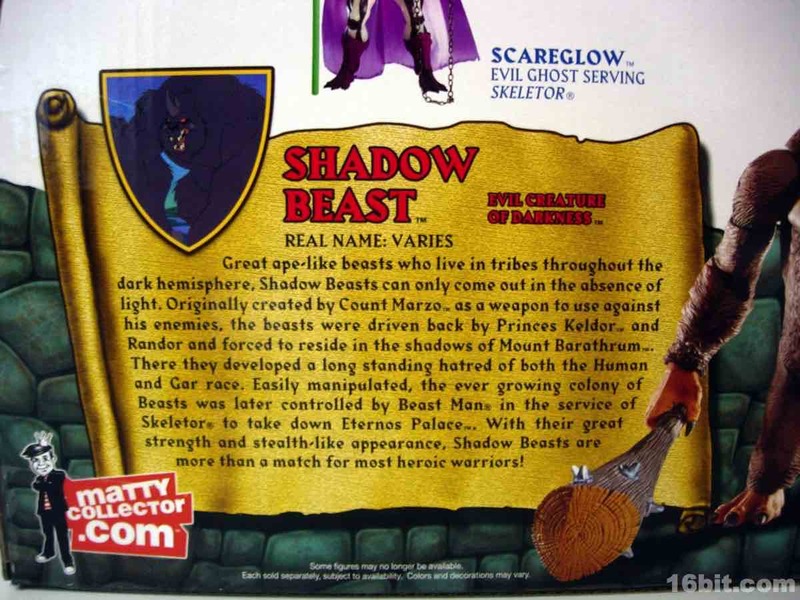 A fun packaging note: the box art shows the 2002 Shadow Beast, which is more hunched over and has two horns on his head. The figure is largely based on the characters as they appear in the 1983 Filmation animated series.